Featuring playful crochet in sweet colors, Room to Grow: A Baby Crochet Collection offers nine patterns for those silly, joyful, and oh-so lovable kiddos in your life. 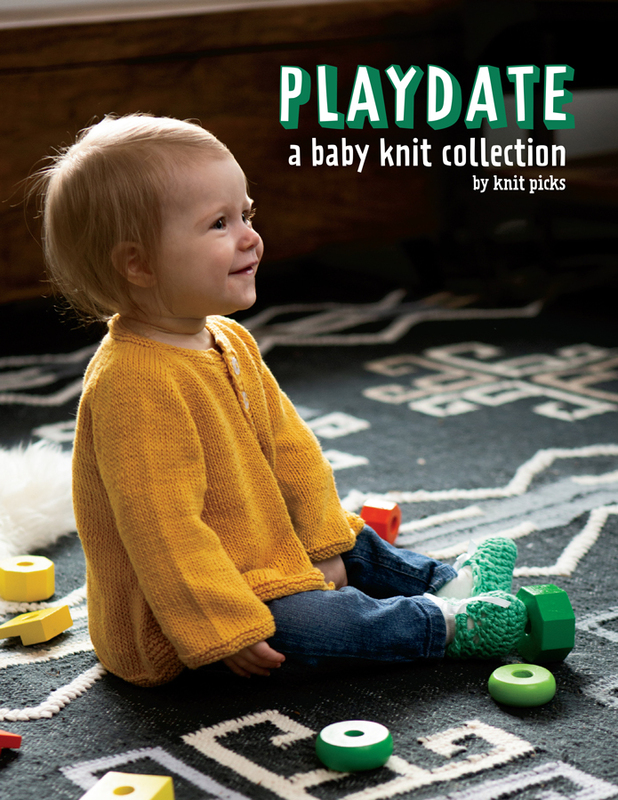 We've chosen the yarns in this book specifically with babies in mind - they're easy to care for and durable, which is something all parents will appreciate! So find inspiration for that next baby shower or birthday, or simply crochet something fabulous for the babies (and parents!) you love. As the weather starts to change from winter to spring, thoughts turn from bulky scarves and hats to lighter weight knits. Layering pieces are the perfect compliment to warmer weather outfits; with that in mind, our new collection Radiance will have you reaching for your needles. Bare Yarns on sale for April! This month’s sale is a bit extra special: ALL of our Bare yarns are 20% off. Did you know that we have an enormous selection of undyed yarns? You can use them as they are, with all their natural beauty, or dye them yourself! Spring News: Our Latest Cotton Yarn, Collections, and more! The green yarn sale is back! Now you can save up to 40% on over 175 of our gorgeous green yarns. Our newest pattern collection, Adventure Awaits, is made for the adventurer. Inspired by outdoor enthusiasts everywhere, this collection features sixteen beautiful yet robust knit projects that offer a perfect mix of both form and function. If you want warm and durable socks for hiking or the perfect pullover for late nights by the campfire, you’ll find it here. Both novice and expert knitters will discover new and challenging knits for their next crafting excursions–the wilderness never felt so cozy!